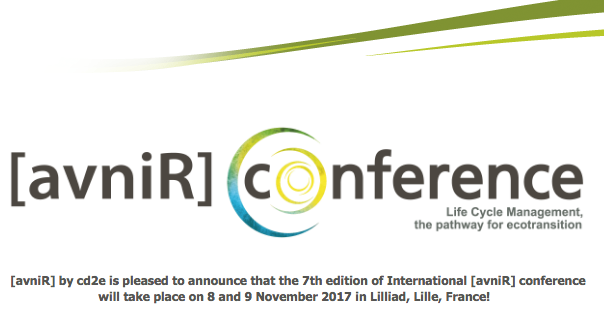 The [avniR] conference is the international event that brings together more than 300 professionals (large companies, SMEs, public actors, international academics) and experts around Life Cycle Management issues. The objective of this year’s conference is to share the latest best practices, scientific insights and innovations leading to the successful implementation of Life Cycle Management to boost competitiveness. The Life Cycle Initiative will present the new strategy in the conference, and please also visit us at our booth!